Our Club Wants to Host! CC (Country Coordinators)- Work with your RYE counterpart in a specific country abroad to see that the exchanges work smoothly and efficiently, resulting in a positive experience for the students. You will also work with the 5470 Rotary Club/Clubs hosting the foreign student and with outbound students (and their parents) who have accepted placement in the country for which you are responsible. 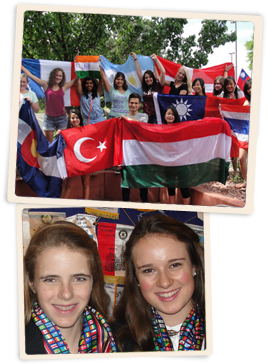 YEC (Youth Exchange Counselor) - Be a member of the Host Rotary Club, appointed to serve as the Inbound Student’s advocate when he/she is having difficulties at home or at school, additional contact, and friend. You will meet with the student at least once per month, to give sound advice and deal with any problems, fears and worries the Inbound Student may have. Note: CANNOT be one of the Host Parents, the Student’s High School Principal, or School Superintendent. 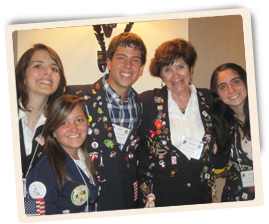 YEO (Youth Exchange Officer) - First and foremost, the YEO is the “Local Coordinator” for purposes of the U.S. Department of State. Must be a member of the Host Rotary Club, appointed to serve as the Inbound Student’s main contact with the Club. You will complete all paperwork and work with the CC for your Inbound and/or Outbound Student(s). You are also responsible for locating Host Families. District Committee - Want to serve at a District Level? Here is our current District Committee.